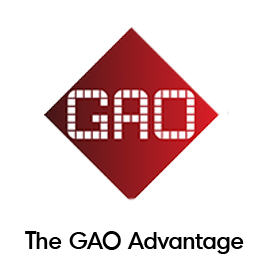 Utilities Industry | RFID Solutions - GAO RFID Inc. The Utilities industry includes electric, hydroelectric, fossil fuel, and natural gas power generation and distribution, as well as water supply and sewage treatment. Every sector in this industry requires visibility of assets to streamline materials tracking, methods to keep their personnel safe, and ways to improve work processes. By using GAO RFID’s collection of RFID solutions, these requirements are possible. Being a business that generates or distributes power and maintains water supply and sewage systems, there are many challenges that may be present, especially when so much is relying on your service. The Utility industry is a capital-intensive business and it is pertinent that all equipments are managed in a way that they can be monitored and located to ensure maximum efficiency and uptime. Having a way to conduct prompt inspections allows critical decisions to be made faster to minimize operations interruption. Equipment can be continuously monitored using RFID so you know where assets are located and can be notified when they fail to operate; having this information in real-time ensures minimal disruption to your operation. Managing inventory across the enterprise is a challenge, especially when operations span across multiple sites . The ability to move inventory error-free and timely across the supply chain is the difference between success and failure. Using RFID to track and monitor inventory across the supply chain allows you to have clear visibility of stock inventory levels, ensuring optimal management to keep overhead to a minimum. Identifying and locating personnel while providing them with the technology to simplify their work processes are vital missions in the industry. Knowing location and movement ensures safety and immediate response times to man-down situations. In addition, making work tasks easier allows personnel to efficiently complete jobs to maximize time in the field. RFID helps keep personnel safe and efficient: RFID badges given to personnel allow you to track their location and RFID applications such as utility pole monitor provides employees with ways to quickly record and report utility use. It is important to monitor and control access to zones and machinery throughout the operation. This keeps the workplace safe and reduces the worry of unauthorized access. The ability to control access while having clear reporting abilities on access history is necessary at every location. RFID badges programmed to grant access to certain zones and allow only certified personnel the ability to operate specialized machinery keeps both personnel and job sites safe.